The parlor would have been separated from the foyer with velvet curtains. Parlors were rooms reserved only for special occasions and receiving favored guests. Almost none of the furniture in the Kinder House is from the Kinder family. They updated their rooms over the years, not thinking that one day their house would be a museum. 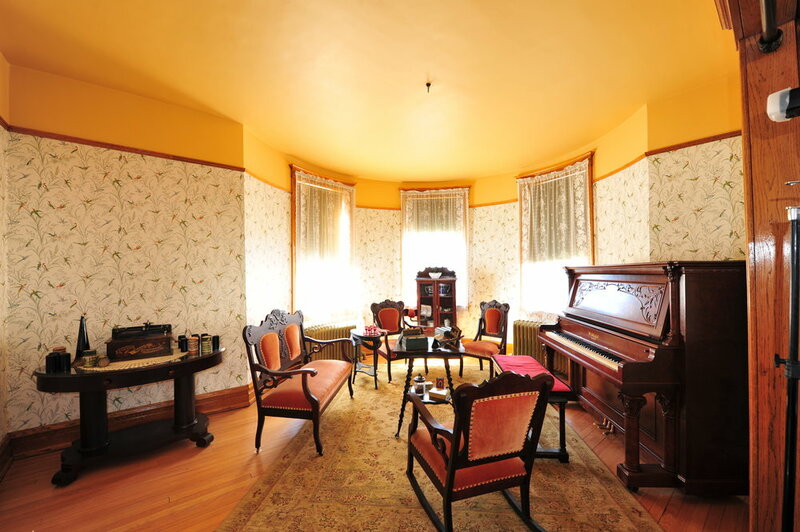 All of the furniture on display is from around 1907, and most of it came as donations from Des Plaines families. The sofa set in the parlor was available from the Sears catalog. Nearly any middle-class household could have trendy faux baroque furniture.